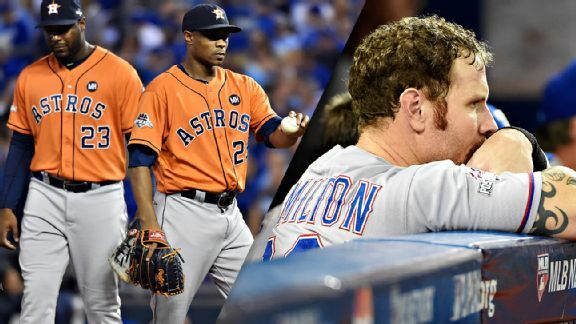 Texas baseball teams have endured crushing defeats. We recount the details of some of their worst setbacks. Is Jake Arrieta-Gerrit Cole the best one-game playoff matchup ever? 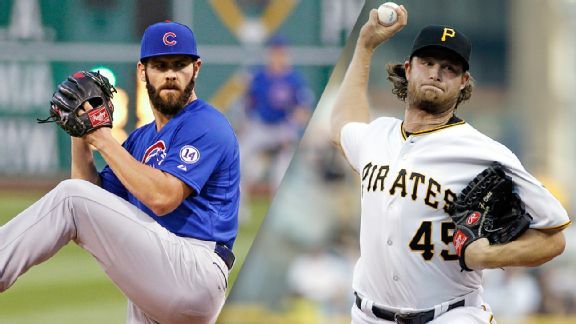 The Cubs' Jake Arrieta vs. the Pirates' Gerrit Cole could be one of the best pitching matchups in postseason history. Left-hander Joe Saunders is back in the major leagues, returning to the Baltimore Orioles after pitching with Triple-A Norfolk. The Baltimore Orioles signed left-hander Joe Saunders to a minor league contract Friday after he was released by the Kansas City Royals earlier this week. He will report to Triple-A Norfolk on Monday. 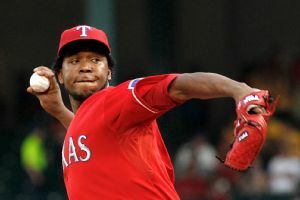 The Texas Rangers have recalled former closer Neftali Feliz and waived starting pitcher Joe Saunders, the team announced Friday. 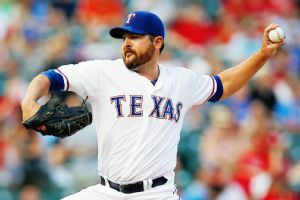 The Texas Rangers finally ran out of patience with left-hander Joe Saunders, who was designated for assignment Tuesday after going winless in eight starts. 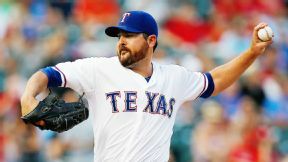 ARLINGTON, Texas -- The Texas Rangers losing streak stretched to a season-high seven games on Wednesday night with an 8-6 loss to the Detroit Tigers. ARLINGTON, Texas -- After offering a "no comment" Tuesday night when asked about Detroit Tigers second baseman Ian Kinsler's wave to the dugout after hitting a first-inning home run, Rangers manager Ron Washington opened up Wednesday morning about Kinsler's actions, saying that in the old days the second baseman would have been hit in his next at-bat for his actions. ARLINGTON, Texas -- The Rangers are hoping their season-high six-game losing streak ends soon.Wednesday would be a nice place to start for the Rangers as they play the Detroit Tigers at Globe Life Park.